Homeowner’s insurance is often required by a mortgage lender when you buy a home and have a mortgage. It is strongly recommended in any event. Your lender typically requires coverage sufficient to cover your mortgage balance so that if your home is destroyed in a fire or other catastrophe, the lender can recoup its investment. The lender may also require that you have flood insurance if you live in a coastal area or in one prone to flooding. But what does homeowner’s insurance cover in addition to this? You certainly want to be insured against damage to your home from a storm or fire. 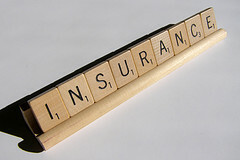 You may have to purchase additional coverage for certain events such as an earthquake or flood. You will have a deductible to pay first before your coverage applies and an adjuster will have to examine the damage to see if it was indeed caused by the particular covered event. Coverage includes damage to light fixtures, flooring, roof, appliances and the structure of your home. Wear and tear is generally not covered. Check your policy carefully to see if mold is covered if you are concerned about it as you may have to pay an additional amount for that circumstance. Unattached structures may also be covered under a separate provision if you ask for it. This would include fences, sheds or a separate garage. Covering damage or loss of personal property generally covered by homeowner’s insurance. You will want your clothes, sporting equipment, furniture, electronics, computers and televisions covered in the event of a fire, hurricane or other loss. Anything that is not nailed down and that you can carry with you is considered your personal property for purposes of homeowner’s coverage. If property is stolen, your policy, though, may limit your losses. Should you have expensive jewelry in the home, have it appraised and add these items to your policy to ensure they are specifically covered. Otherwise, you may be severely limited in the amount you can recover. For the replacement cost of a damaged or lost item such as a computer or stereo, you will have to pay more in premiums if you want it new and not just its market value at the time of its loss. Should your house be destroyed or rendered uninhabitable by a covered loss or by a government order of evacuation, your homeowner’s coverage generally includes your expenses for a temporary residence such as at a hotel or apartment. What your insurer will pay is based on the amount you are insured for and then arrive at a comparable rent figure. You may also receive reasonable expenses for food. One of the major considerations for having homeowner’s insurance is to protect your assets in case you are sued for an accident that occurs on your property or if someone wants to hold you liable as a social host for serving an intoxicated guest who then injured or killed someone. This particular coverage will also protect your family members that live with you, if they should damage someone else’s property. Your insurer will provide you with an insurance defense attorney at their cost if your matter is litigated. You are only covered to the extent indicated on your policy. Accidents that are covered would include slip and falls or other accidents that occur on your property or if your negligence resulted in an injury to someone so long as it was not auto or business-related. Dog attacks or bites may be covered but many policies do exclude such coverage. Most policies, however, will not provide coverage if you were criminally liable in harming or if you were engaged in an illegal activity that led to an injury or property damage. Experienced personal injury attorneys are experts in finding insurance coverage for defendants when their clients have been seriously injured. If you have any concerns about your homeowner’s policy or if your insurer denies coverage, contact Burns & Jain, a homeowner’s insurance law firm. See how the homeowner’s law applies to the facts of your case as well as having your situation examined in case of coverage disputes.